“Jesus knew in himself…” reveals clearly that Jesus knows the heart condition of all mankind. Secondly, Jesus asks His disciples, which perhaps included the crowd of followers beyond the chosen twelve, a very important question “Doth this offend you?” His question is pointed. He did not dodge the Truth. He intimately knew this truth had offended some. These men did not spiritually comprehend all Jesus Christ was speaking about. However, there would soon be a day soon when His truth would be revealed more clearly. Jesus Christ told them “It is the spirit that quickeneth…” this reveals that it is the work of The Spirit of God which ushers in new spiritual life. 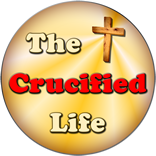 It was this power which would raise Jesus Christ’s Spirit from the dead unto new spiritual life. It is the same power which is at work in the hearts of the regenerated man today. He also revealed “the flesh profiteth nothing…” because man has no supernatural spiritual power aside from the presence of God dwelling inside his heart. Lastly, Jesus Christ said: “the words that I speak unto you, they are spirit, and they are life…” Jesus Christ laid out that His Words are filled with the supernatural power of God and are pointed with the double-edged sword of Truth. What about you do, you understand these important spiritual truths Jesus Christ illustrated through His death, burial, and resurrection? 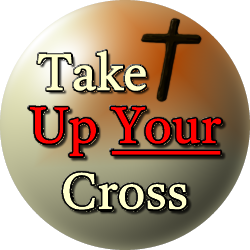 Today we have a spiritual advantage because we look backward towards the cross. These disciples were looking forward to the future and these events of Calvary.